Psoriasis is a skin inflammation caused when your body has an overactive immune system. This skin inflammation can present itself in the form of red patches of skin. These patches can be itchy, scaly, and silvery in appearance. These red patches can be intensely itchy. Those individuals diagnosed with psoriasis arthritis experience joint swelling, pain, and stiffness. If your doctor diagnoses you with a skin condition called “Psoriasis,” you may have one of the five types of psoriasis such as plaque, guttate, inverse, or pustular Erythrodermic. Plaque psoriasis is the most common type of psoriasis that affects upwards of 80 to 90 percent of the American populace. The kind of psoriasis you have determines the type of treatment the doctor says is the correct treatment for you. Where Does Psoriasis Commonly Attack the Skin? These areas of skin inflammation frequently come under the scrutiny of other people who simply do not know about psoriasis. Your primary doctor can give you the diagnosis of psoriasis, but may refer you to a dermatologist so you can have the benefit of the most current and up-to-date treatment options. Your particular type of psoriasis demands a specific kind of therapy, and this is up to your doctor. Your responsibility is to follow your treatment plan and report back to your doctor any improvements, increased skin problems, and noted treatment side effects. If you have psoriasis, you may have experienced strange looks from people who are uneducated in your diagnosis. Many people think that you have something contagious, not getting too close for fear of catching your skin condition. Constantly educate those less informed individuals and never let someone’s lack of knowledge impact your life. Your doctor will take a history from you to help determine why this problem arose. The doctor may pinpoint certain triggers such as stress, insomnia, or diet. Triggers demand an individual treatment as much as the diagnosis itself. Your doctor may recommend that you use a particular skin moisturizer to decrease skin dryness and irritation. These moisturizers can be over-the-counter or require a prescription. 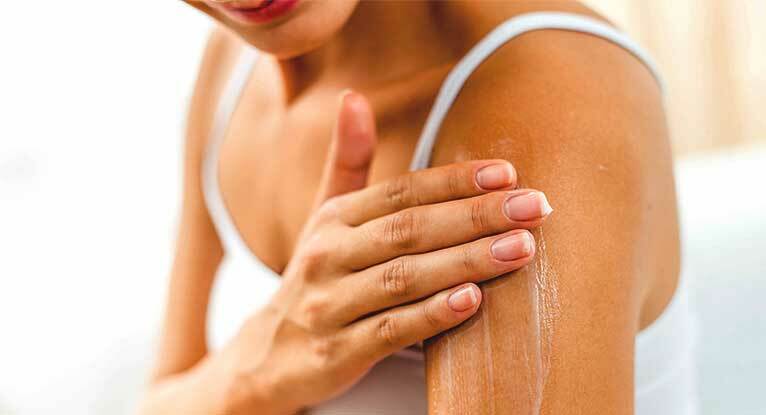 Many doctors find that the use of steroid creams like a cortisone cream helps to reduce the appearance of psoriasis. Some simple treatments like vitamin D creams or some topical contribute to lessening the rate of inflammation by reducing skin cell growth. Scalp psoriasis may require a special hair cream or shampoo. Light therapy is a proven effective treatment for some people when used on inflamed skin areas. Doctors frequently combine known and effective treatments together. If you have psoriasis, no matter what type, you know that it can cause you mental anguish, anxiety, stress, depression, low self-esteem, time off from work, and isolation. And, unfortunately, there is no cure for psoriasis, but you can keep this skin condition at bay by working with your doctor to find the most effective treatment for your body. Also, not following your appointed treatment regimen can cause secondary infections, health problems, and escalating health care costs. It is vital to follow your doctor’s orders so that you can see a decrease in your skin problems. You can live a healthy life, enjoying your life to the fullest with your psoriasis diagnosis. Psoriasis is a chronic, inflammatory skin disease that can occur in any age demographic, gender or race. The most common form of psoriasis is plaque psoriasis and people who suffer from this condition tend to have other health conditions such as diabetes or heart disease. Often enhanced or irritated by environmental factors, psoriasis is genetic and can be passed on to future generations. There are a number of different forms of this condition that cause different symptoms and include psoriasis vulgaris, inverse psoriasis, pustular psoriasis and more. The most common symptom however, tends to be the red, scaly rash that people are most familiar with. Psoriasis prevents itself as a scaly looking rash that forms in patches most of the time. It tends to be very red and very itchy. The most common places that people will have outbreaks of psoriasis include on the scalp of the hear, the knees and the elbows. Though, these patches can present themselves just about anywhere on the body. The rash itself is not contagious and cannot be passed to others. Though many people feel embarrassed by their psoriasis and try to hide it, the stress of this condition will only make the problem worse. You can however, go into remission and be symptom free for a long duration of time if you are properly taking care of yourself and your skin. There is a form of psoriasis arthritis that affects not only the skin but it also has an affect on the body’s joints, causing pain and stiffness. This is something a rheumatologist can assist with and help treat. Something to keep in mind is that if you have been diagnosed with a form of psoriasis (as much as 3 percent of the population has been diagnosed), this condition can not be cured. Yes, remission can be achieved and maintained but this is not a curable condition. New therapies and drugs are constantly being developed to help manage psoriasis and with the help of medication, many patients can remain symptom free. Not all medical professionals are highly knowledgeable on this condition. You should make sure you seek out a professional in your area that is well versed in psoriasis treatment. Typically this will be a rheumatologist or a dermatologist while a general practitioner can ensure you are taking your medication properly and managing any other health conditions you have. Many people who suffer from certain forms of psoriasis tend to develop liver issues at some point in their lives so this is something your doctor can watch out for over time. The actual cause of psoriasis is still unknown but there are some factors that contribute to the development of this condition including genetic predisposition and environmental factors. Many medical professionals believe that this condition can be a result of an immune system disturbance. When white blood cells target healthy cells rather than targeting foreign substances, this can cause a dermatological reaction. Psoriasis is basically an inflammation of the skin and anything that can increase inflammation in the body can cause a problem in theory. While psoriasis may be an unsightly condition to have to deal with, it is very common and at this point, many people have heard of the condition making it quite accepted amongst the population. No person with psoriasis should feel self conscious with themselves during a flare up but the problem may signal something else going on and medical attention should be acquired during a flare up. A trusted medical professional can help you determine is a medication would be beneficial.